Mat Manning is a fulltime field sports journalist, author and broadcaster with more than 30 years’ hunting experience under his belt. A regular contributor to national and international print and digital titles, Mat is recognised as one of the world’s leading authorities on hunting with air rifles. A fieldcraft specialist who shoots mostly for the pot and pest control purposes, Mat relishes hunting opportunities that enable him to get up close and personal with his quarry. Mat Manning explains how airgun shooters can use feeding stations to boost results on grey squirrel control. Feeding stations create a ‘honeypot’ area where you can optimise your field time when targeting grey squirrels. The grey squirrel is one of the UK’s most destructive introduced species. It might look cute but this invasive rodent has contributed to the decline of our native red squirrel and costs the forestry industry millions of pounds every year through the damage it causes to trees. The grey’s impact on the red squirrel is mostly down to the fact that it’s a bigger, more boisterous, more adaptable animal, so it can easily out-compete the vulnerable red. Greys squirrels also carry squirrel pox but are immune to this deadly disease, red squirrels are not and are therefore extremely susceptible. Tree damage is a result of the grey squirrel’s habit of stripping bark in order to lap up the sweet sap which flows beneath. Bark-stripping causes trees to grow stunted and deformed at best, at worst it kills the tree by preventing the flow of water and nutrients between the roots and the leaves. Peanuts are a very effective bait – Mat reinforces the front of his feeders to guard against gnawing and pellet strikes. But the grey squirrel’s impact on wildlife extends far beyond red squirrels and trees. They prey on the eggs and chicks of songbirds, and also place other species, including dormice, at a serious disadvantage by monopolising natural food sources such as hazel nuts, beech mast and acorns. Mat observes the feeding station from a distance to keep tabs on the squirrels and to enjoy watching visits from more welcome woodland wildlife. Quiet and precise, the airgun is a brilliant tool for grey squirrel control around their woodland haunts but you need to take a systematic approach if you’re going to make a significant dent in their numbers. Although wandering among the trees and picking off the odd squirrel as you go will make a small difference, setting up a feeding station will optimise your hunting time and really boost your tallies. Get it right and bags of ten or more squirrels in a short session are on the cards for successful grey squirrel control. My feeding stations comprise of homemade hoppers that look similar to bird boxes with an opening that spills feed into a small tray. The main factors to consider are that the hopper should have capacity to hold a decent amount of feed and be strong enough to withstand gnawing by squirrels – I use tin to enforce the area around the front to stop the outlet hole from being nibbled and to guard against pellet strikes. It’s also wise to make the feed tray quite narrow to prevent shot squirrels from getting stuck in there. I attach my feeders to trees (high enough to be out of the reach of deer) in areas that I know are frequented by squirrels – look for their dreys and focus on places where interconnecting trees give squirrels plenty of access points. Bait choice varies; peanuts work best, even when natural food is abundant, but they are expensive, wheat and maize are cheaper but are less effective until winter has put an edge on the squirrels’ hunger. The most important thing is to give the feeder time to work, and keep checking up on it. For the first few days, the feed will probably only go down very slowly as the main visitors will be woodland birds. The activity of the birds will soon draw in squirrels, and you’ll notice that the feed starts to go down very quickly when they arrive. This is your cue to set up a hide about 20 metres from the feed hopper – it doesn’t have to be anything too fancy as the squirrels will have time to get used to it and will also be too distracted by the food to worry about your camouflage screen. A simple net hide should provide all the concealment you need when squirrels are distracted by an easy meal. Continue topping up the feeder for another week or so – this gives the squirrels time to grow in confidence and also to attract others with their comings and goings. 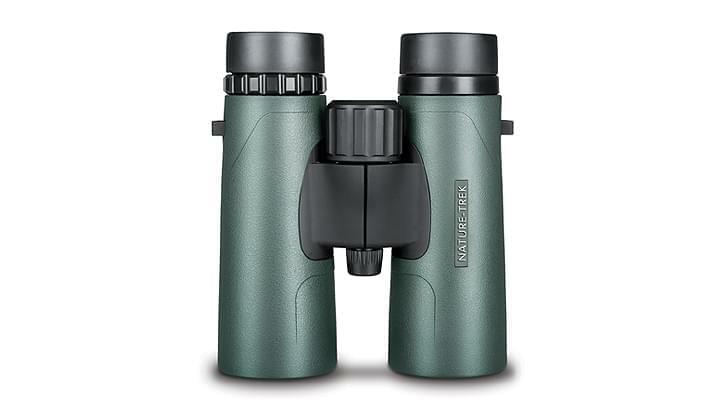 I often keep well back and just watch the feeder through a pair of binoculars (I’ve usually got the compact Nature Trek 10×42 in my jacket pocket) when I arrive to top it up. Apart from giving me an idea of how many squirrels are visiting and how confident they are it’s also a great opportunity for wildlife watching as birds such as nuthatches and woodpeckers will inevitably put in an appearance. Using a feeding station guarantees humane shots at a static target over a predetermined distance. Squirrels tend to feed very hard just before dusk – especially during the winter months when they want to fill up in readiness for the long, cold nights – so I aim to get myself into position a couple of hours before sunset when I start the cull. 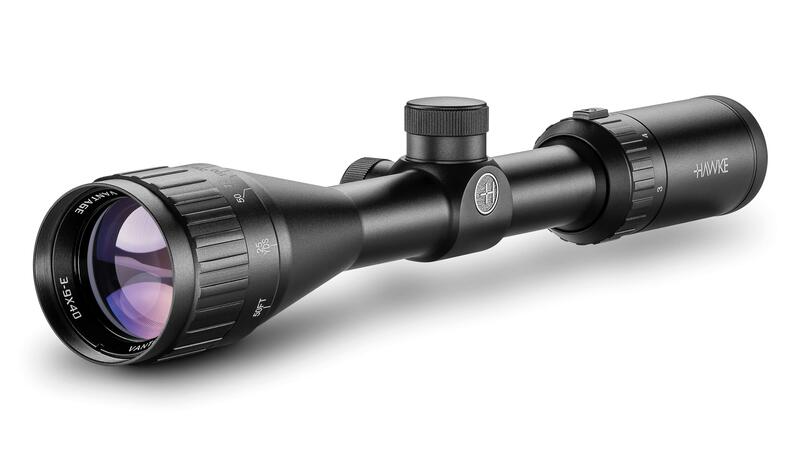 This inevitably means shooting in low light conditions, and I tend to opt for a scope from the Hawke Vantage range which are very well-suited to airgun use and boast excellent light transmission which far exceeds their modest price. All of the hard work has been done in setting up and managing the feeding station in the leadup to the hunt, so the shooting is usually pretty straightforward. You’ll be shooting over a set distance at a static target, which makes for very humane kills with precisely-placed head shots. Mat takes aim from the cover of his hide as a squirrel settles down to feed. Don’t be in a rush to take the shot when a squirrel arrives at the feeder. They can be a little jittery at first, so be patient and wait for your quarry to settle to feed before you bring the crosshairs on aim. Take your time and you’ll be rewarded with very simple shots. If all goes to plan, you will make large bags during your first couple of visits then numbers should steadily dwindle. Keep the feeder going and keep on shooting until you have a blank session. That’s the sign that you’ve removed the resident squirrels from that spot and it’s time to move your feeder to another area of the woods and start over again. Three more greys brought to book during a short evening session at the feeding station. Fully multi-coated optics to produce sharp images. Focus knob with 2 turns - close focus from 6.6ft/2m. High resolution BAK-4 roof prisms. Lightweight and durable rubber coated full-size chassis.